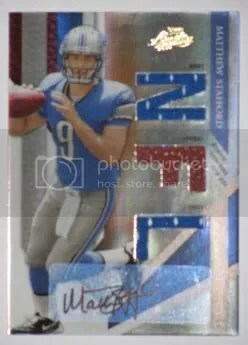 I had the urge to break something open today, so I wondered down to my local card shop – Sports Zone Memorabilia, and tried a box of 2011 Leaf Metal Draft Football and a few packs of 2011 Upper Deck Football. Today was the grand opening of Sports Zone Memorabilia located in Selinsgrove, PA. It moved from Lewisburg, PA and is now on the strip right across from Applebee’s. It has to be one of the nicest shops I’ve ever been in. 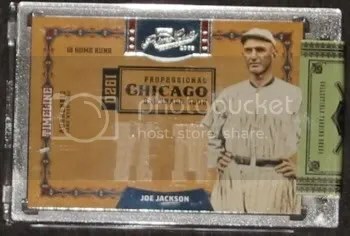 They have all kinds of cards, memorabilia, jerseys, and pretty much anything that deals with the hobby. They even have coffee, chocolate, Wi-Fi and a big screen TV. In this day and age, this is what a card shop should be like. While I was there, I picked-up a box of 2010 Classics, 2009 UD Ultimate Collection, and a jumbo pack of 2010 Topps Football. Check out some of my hits!!! If your a sports collector, and your passing through Selinsgrove, I highly suggest you stop in at Sports Zone Memorabilia. On October 23, 2010 Sports Zone Memorabilia will be having a Rip Party sponsored by Topps. Only 15 people can attend and it costs $50.00. I think we will be ripping 2010 Topps Updates & Highlights Baseball. It will be exciting since I’ve never been to a Rip Party before. I got some great stuff for Christmas this year. I got a new blank football that I can use to get autographs on. 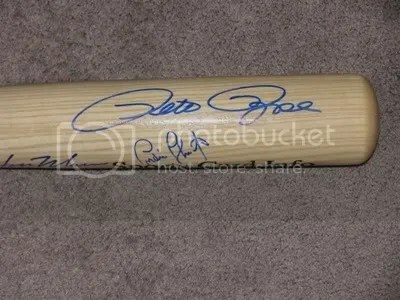 I don’t think I can fit anymore more signatures on my other one 🙂 I also got a 2010 Phillies calendar, Phillies coasters for my room, and a new Phillies mug. 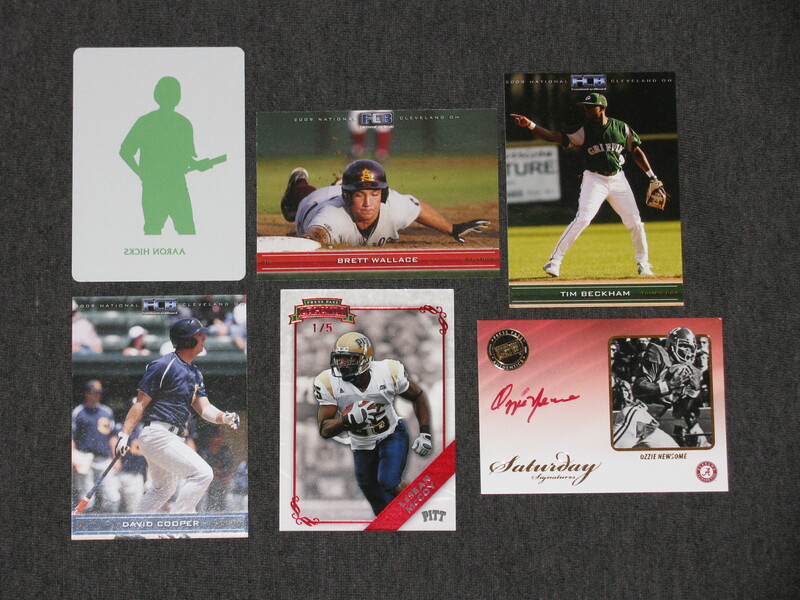 I also received a box of 2009 Donruss Classics and 2009 Absolute Football. It was a blast opening both of these boxes. Check out what I pulled!!! After talking to one of my local shop owners, I didn’t know what to expect while attending The Philly Show this weekend in Valley Forge, PA. 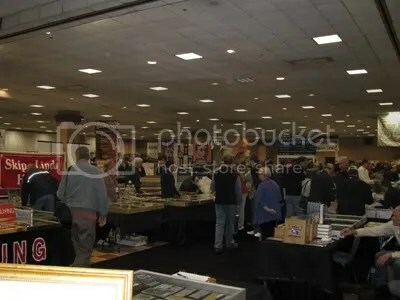 I arrived at the Valley Forge Convention Center at about 9:15 in the morning and the parking lot didn’t seem too full. Browsing around the show floor you could see that about one third of the dealers weren’t there. I highly doubt it was the weather, but instead probably because of the increasing setup fees from Hunt Auctions. 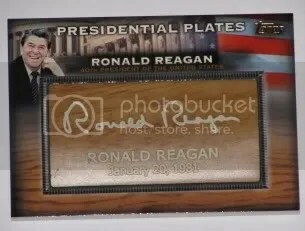 Did you know Upper Deck owns Hunt Auctions? Today was the first time I had heard that. 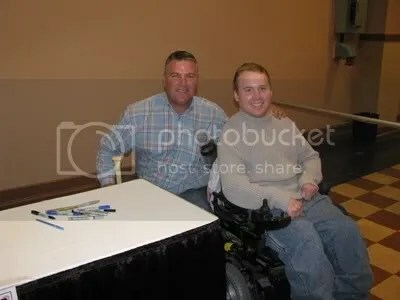 MAB-Celebrity was in charge of getting the autograph guests for the show, and I think they did a great job. 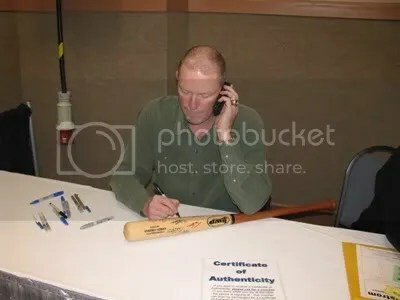 All of the signers this weekend were or still are Phillies. Bringing all Phillies in is a great idea from MAB-Celebrity. Being so close to Philadelphia it just makes sense. 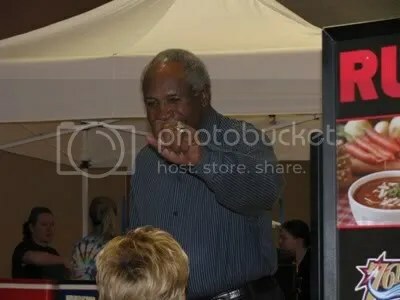 Ever since Hunt Auctions purchased The Philly Show, MAB-Celebrity has brought in big name players like Willie Mays, Willie McCovey, and Frank Robinson, but they really hit the jackpot when it comes to Phillies. I had never seen so many people lined up for signatures. This was by far one of the fullest shows I’ve been to. The dealer that told me Upper Deck owns the show said he wishes they would bring in Michael Jordan and/or LeBron James and just let people get their photo with them for a few bucks. If Upper Deck did that the place would be extremely packed, but I like the idea. I hope they continue to bring more Phillies to the show. 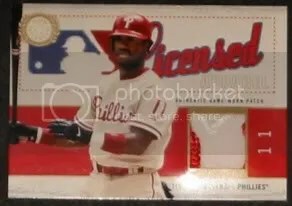 While heading for lunch, I met the blogger who runs Phungo and he handed me some custom made Phillies cards for my collection. The pack even included a card of Harry Kalas. I also saw Chris Harris from Stale Gum from a distance. When I started blogging, I never thought I would get recognized at shows 🙂 Thanks Phungo for the cool cards!!!!!!!!! I got a few autographs, busted some wax, and pulled some insane stuff!!!! Here are some of the highlights. 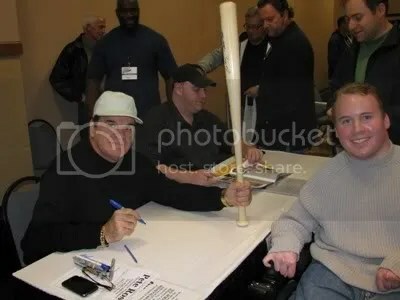 Pete Rose signing my bat. 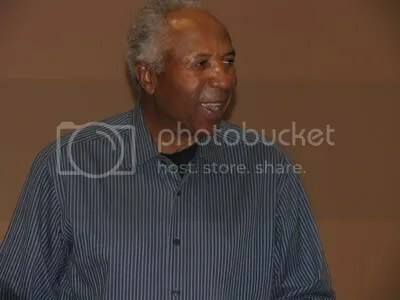 I hope he makes it into the HOF someday. 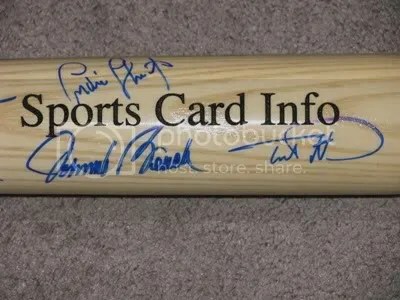 Pratt’s signature is all the way to the right. Rose has such a huge signature. It takes up a good portion of the bat and looks awesome. 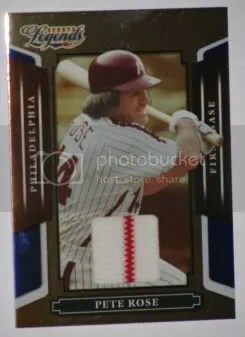 This Rose ’08 Sports Legends jersey #’ed/100 is the only single I purchased from a dealer. 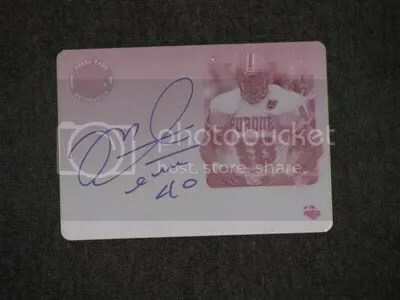 Pulled this Stafford autograph jersey/ball/jersey #’ed/299 from a single pack of ’09 Absolute. 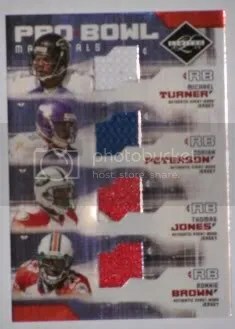 I took a chance with ’09 UD Black Football and man did it pay off. 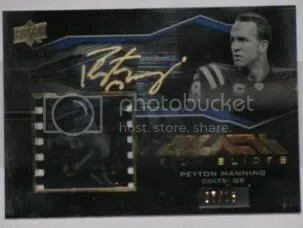 This is my first Peyton Manning autograph and it is #’ed/18. It also contains a piece of film. 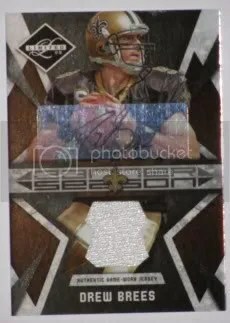 Tried a pack of ’09 Leaf Limited and pulled this Brees autograph jersey #’ed/25. 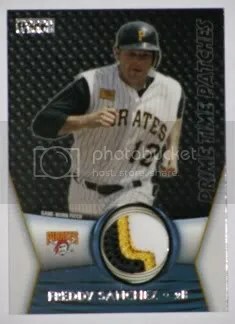 This was probably my best hit from ’09 Topps Unique and it isn’t even “game used”. These Presidential Bat Barrels are quite difficult to pull. I think they come one per case. Overall, this was probably one of the better shows since Hunt Auctions purchased The Philly Show. 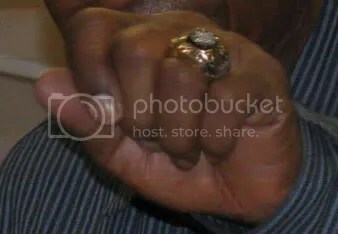 I think Hunt Auctions and MAB-Celebrity finally learned what draws in the fans. Hopefully some of those dealers return for the show in March. You can definitely say the “MOJO” was with me today, after seeing all the cool stuff I pulled like the Manning autograph. I give this show 4.5 hot dogs out of 5 (1=poor & 5=perfect).